If you need a plumber for any general plumbing issue in southwest Sydney, Plumbing Central is your trusted local for the job. 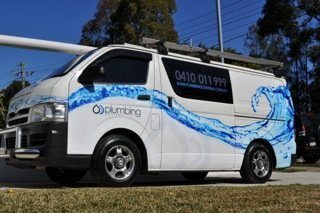 We treat every plumbing project with the same high standard of workmanship and customer service, however big or small. Our team of experienced plumbers are friendly, courteous and tidy; listening to your needs and providing expert advice. At Plumbing Central Sydney, we go above and beyond to deliver you with the ideal drainage solutions for your situation. From blocked drains to 24-hour emergency drainage, we use only the best materials and guarantee our work. Using the most sophisticated CCTV drain survey equipment, Plumbing Central Sydney camera units allow us to get the best results from any CCTV sewer or drain inspection. From the size range of the cameras to their shape and ease of mobility, we ensure efficient analysis that can be carried out almost anywhere. Our specialist software means you can see the results for yourself on DVD, supported by an industry standard technical report, prepared by a qualified and fully trained plumber. When a build-up of grease, silt, leaves, hair or other foreign object is causing a blockage in your pipes, jet blasting is the answer. In most cases, jet blasting removes the blockage, allowing water and waste to flow smoothly again. If your water isn’t flowing properly, call Plumbing Central Sydney and our team of professional plumbers will have your plumbing issue fixed in no time. For all your plumbing maintenance services, big or small, contact Plumbing Central on 0410 011 999 today.